Our Intro to Climbing package is the best way for new climbers to get started. It includes: a one-hour Intro to Climbing and Belaying Class; a day pass; and rental gear. We limit Intro to Climbing classes to a maximum of six participants, who must be at least 14 years old. Our yoga instructors teach a variety of styles and accommodate students of all levels. In addition to daily classes, we also offer periodic yoga and fitness workshops. Choose you location to view our yoga and fitness class schedules. We put your child’s well being and development first. We focus on building confidence and determination in a welcoming and supportive, yet challenging environment. Our experienced coaches and unique environment make climbing fun and educational for everyone — whether your child is enrolled in Climbing Cubs or Camps; or Academy or Team. 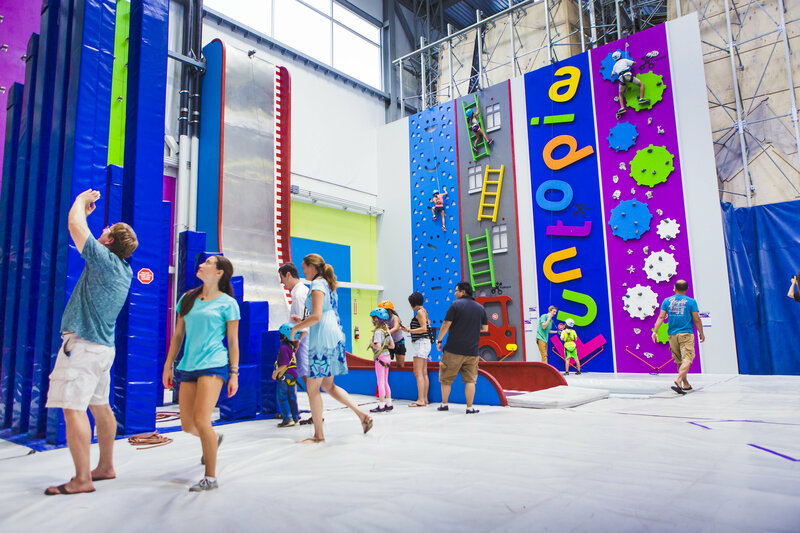 Climb buildings and towers; or race your friend’s to the top in Sender City — an interactive climbing center great for kids and adults. Sender City is also a perfect for groups, team building, birthdays, and celebrations. Party packages include 1 hour of climbing and exclusive use of a party space for 1 hour.